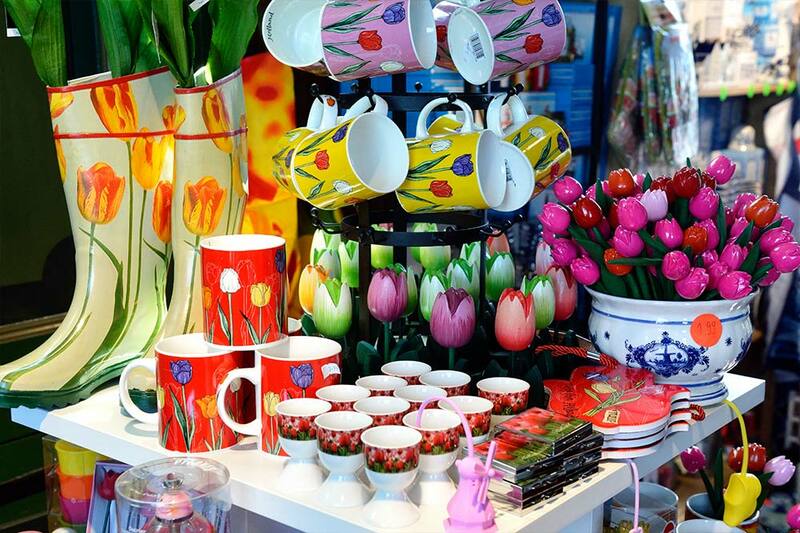 Buy souvenirs from the many shops in the Zaanse Schans. Take a piece of the Zaanse Schans back home with you! There is so much to see, do and admire in the Zaanse Schans. The artisan clog makers, the De Kat Paint Mill where the miller spends his days making paint and pigment, and the tinworks where everything is crafted by hand. Would you like to take a piece of the Zaanse Schans home with you? No problem! You can buy beautiful souvenirs from a wide variety of outlets. 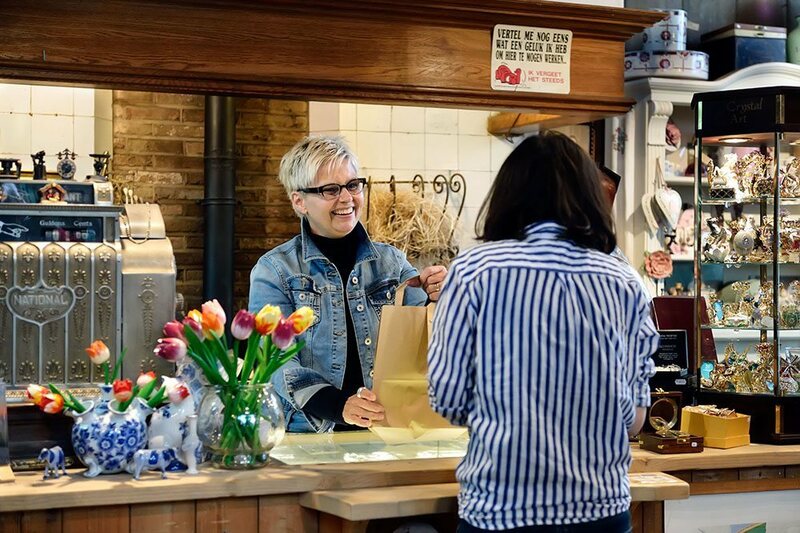 In addition to the windmills and workshops that sell items directly, you can also find a number of shops in the Zaanse Schans. 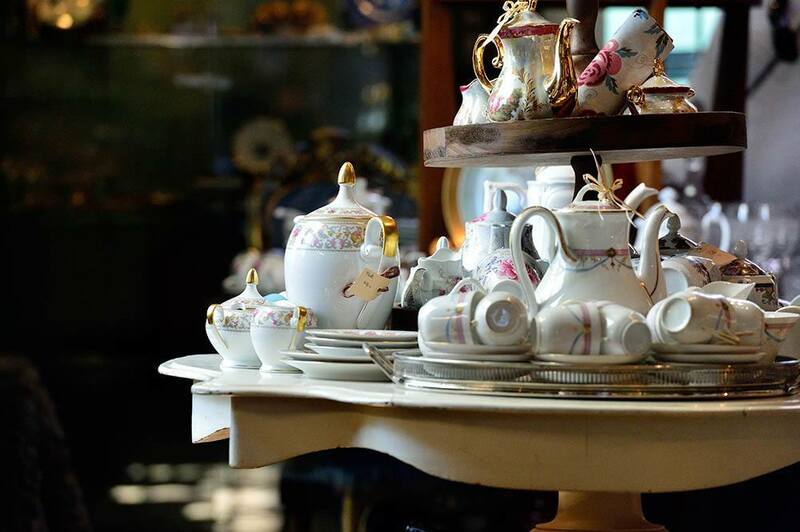 Come hunt for treasure at the Jagershuis antique shop! Fittingly, the Jagershuis antique shop is located in the oldest house in the Zaanse Schans, built in 1623. It’s packed to the rafters with trash and treasure! Rummaging through all of the bits and bobs in this charming store is a fantastic experience. You’re guaranteed to find something special to remind you of our beautiful open-air museum. This former merchant’s house is a listed building originally built on the Jagerspad in Zaandam. The name of the house derives from Claes de Jager, the wealthy owner of three sawmills. On the roof you can see the king post, a beautiful feature with spectacular Gothic finishing. The old stained-glass windows came from a church in Westzaan. In the garden behind the Jagershuis is an original well, crafted from IJssel clinker bricks. 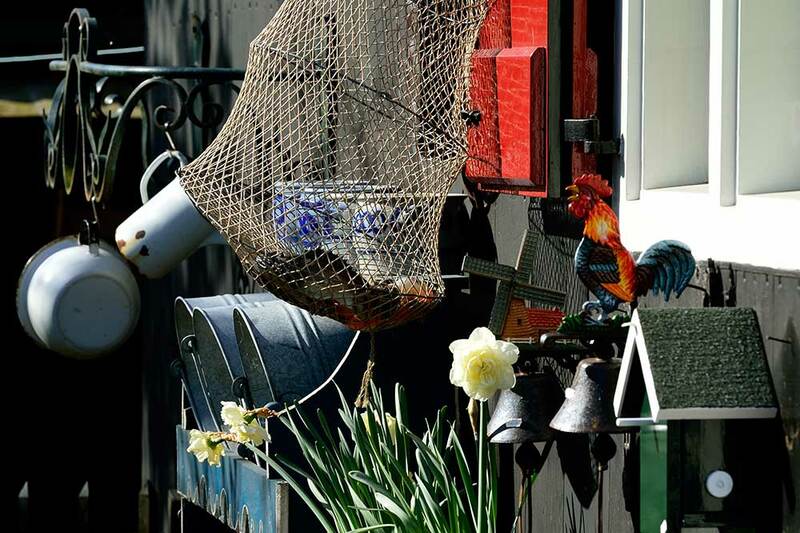 Visit painters, jewellery makers, stroopwafel bakers and more. The Saense Lelie houses an artist specialised in Delft Blue decoration, a diamond cutter, a goldsmith, and a number of other craftspeople. Among them are a local oil painter and another who specialises in the Assendelft style, our very own stroopwafel baker and a chocolatier specialising in self-made truffles. All these treats can be tried and bought in the shop. In the diamond cutter’s and goldsmiths’ workshops, you can observe the detailed process of working diamonds and gold. You can choose from one of the largest diamond collections from Amsterdam and watch experienced goldsmiths set your diamond in 18 karat gold. 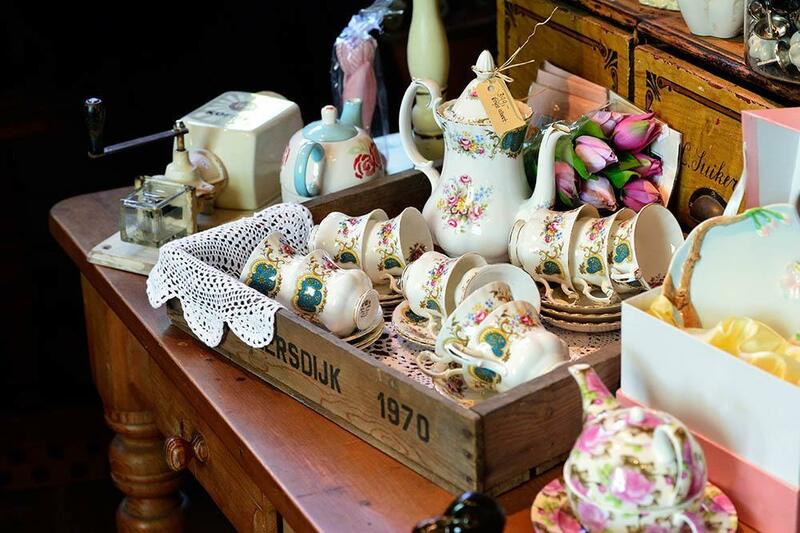 Find trendy Dutch gifts in Orse ket aan ‘t Glop. This shop stands for strong Dutch brands with their own unique identity. 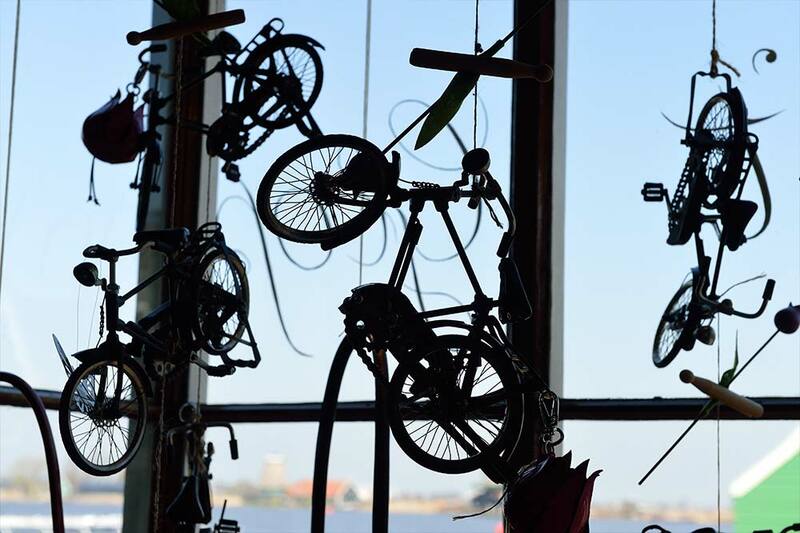 In this store, which is full to the brim with trendy and typically Dutch gifts, you can also take part in creative workshops. Come to one of our walk-in workshops every Wednesday, Saturday and Sunday from 10:30 until 16:00. Orse ket aan ‘t Glop is located in a composite building. The shop section dates back to the 19th century, while the rest of the building was built in 1630. The premises were originally located on Rozengracht in Zaandam, where it functioned as a bookshop with an adjoining library. The age of the premises can be clearly read from its façade on Kalverringdijk. The stained-glass windows above the disused door and the elegant fluted timber are typical of the era. The roof is still largely supported by old, twisted oak-tree trunks. Surprise the folks back home with gifts from the Vrede storehouse. The Vrede storehouse (constructed in 1721-1731) is home to one of the best-organised souvenir shops in the Netherlands. 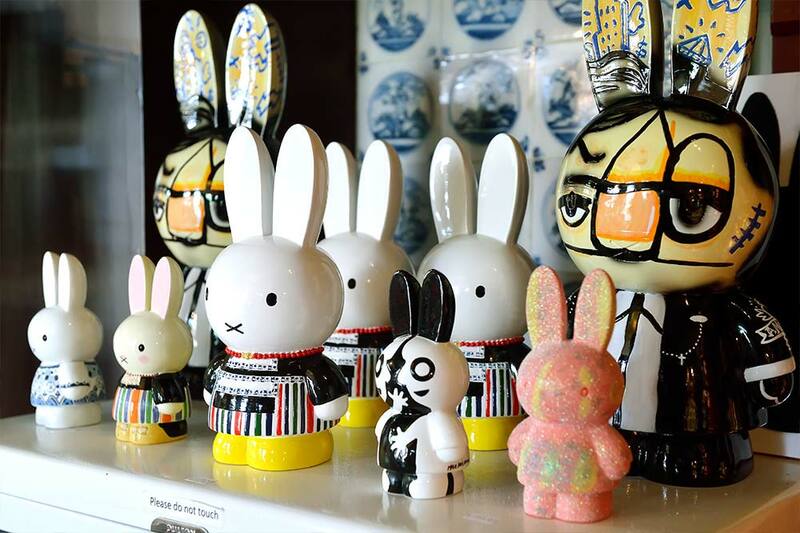 Here, you can buy typical Dutch souvenirs and exclusive products, such as Royal Delft Blue (1653) and Willow Tree figurines. Vrede Souvenirs also offers a collection of nautical artefacts, jewellery and various watch brands. The Vrede storehouse was originally constructed as a grain and seed repository in the east of Zaandam. In the 19th century, a rice-husking plant used the premises to store rice. In 1992, it was decided to move the storehouse to the Zaanse Schans. It was transported across the water on flat-bottomed boats to our open-air museum. Immortalise your visit in pictures. 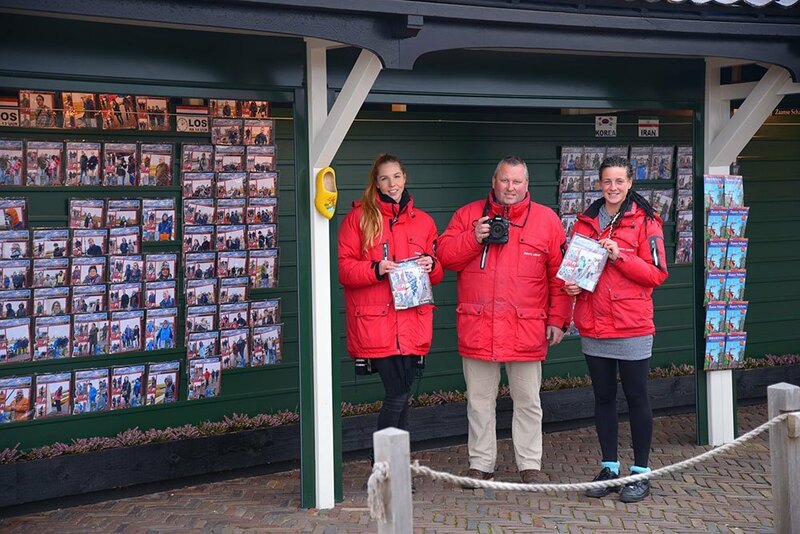 When you enter the Zaanse Schans, photographers will take your photo with no obligation to buy. If you wish, you can buy this photo at the exit. You will receive the photo in an attractive Zaanse Schans calendar. Are you visiting the Zaanse Schans as a group or organising an event? If so, the team will be happy to take your photos. Seek out windmill-related souvenirs to remind you of your visit. In the shop you can buy lovely souvenirs and obtain information about group-photography services. It’s a very special shop. The Windmill shop is situated in part of the De Bezem windmill storehouse. This building was originally located at the De Bezem Oil Mill (1682), on Noorddijk in Wormerveer. It was relocated to the Zaanse Schans in 1976. The mill itself was demolished in 1896. Clean, cleaner, cleanest! Learn everything you ever wanted to know about soap at the soap factory. As the Zaanstreek area had previously had a wonderful soap factory, “De Adelaar” in Wormerveer, it was considered a great addition to the local history to reintroduce the ancient craft to the Zaanse Schans. You’ll also learn about the fascinating history of hygiene and cleaning. The soap factory produces soap, cosmetics, perfume and everything related to hygiene and cleaning, using only traditional methods. There is a small workshop area and throughout the attached shop, you can admire some magnificent museum pieces.